Providing cash flow solutions, invoice factoring, and payroll funding to small and medium-sized businesses in Oklahoma City, Tulsa, Norman, Lawton and cities throughout Oklahoma. Riviera Finance can provide cash flow solutions, invoice factoring, and payroll funding to small and medium-sized businesses in Oklahoma City, Tulsa, Norman, Lawton and throughout Oklahoma. Riviera Finance is an invoice factoring company that provides invoice factoring services for companies nationwide and in Canada. If you are located in Oklahoma City, Tulsa, Norman, Lawton, and cities throughout Oklahoma our Dallas office is able to service all your invoice factoring needs. Since 1969, Riviera Finance has provided full-service non-recourse invoice factoring to over 35,000 growing companies, and maintains 25 offices across the U.S. and Canada for more personal, local service. We believe in being in the same time zone as our clients and having a dedicated local team who understands your business and its specific needs. Our local offices backed by our national support makes for the best service and fastest turnaround in the industry. When your Oklahoma City business needs cash flow, invoice factoring with Riviera is the solution. But cash flow isn’t the only benefit. On top of the working capital for your business, Riviera’s factoring services provide credit guarantees on your customers’ payments, and accounts receivable management and collections. 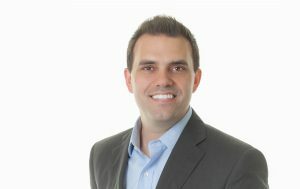 This Tulsa-based company provides hotshot services to businesses in oil and gas industry. They had only been in business for a month and needed to meet payroll quickly. 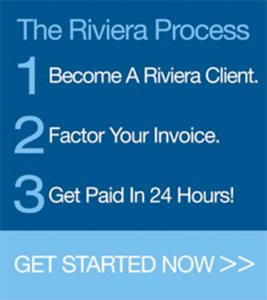 Riviera was able to establish a $200,000 factoring line for them. With this new source of ready cash, the company was able to factor $20K in receivables in 24 hours enabling them to meet their payroll. This client provides flowback services to the oil & gas industry and with growing opportunities, needed funding to add a new crew. They were referred to Riviera by another factoring company who couldn’t approve the client’s customer. Fortunately, Riviera’s experienced team worked to complete the necessary verifications and was able to provide the client with working capital so that they could add additional employees to their growing business.